Tom Dibblee was born in 1911 in Santa Barbara, California. He first became interested in geology in 1929, when his father hired a geologist to investigate the oil potential on the family property. After Tom graduated from Stanford University, he spent 16 years working for oil companies and then 25 years working for the U.S. Geological Survey. Much of this time was spent alone in the field making geologic maps of California. Tom retired in 1977 and became a Research Associate with the University of California Santa Barbara, and, at the request of the U.S. Forest Service, he began mapping the 1.2 million acres of the Los Padres National Forest. During his career, he mapped over 40,000 square miles of California (about a quarter of the state), a feat that probably will never be equaled. Tom was the first man to map the entire San Andreas Fault. In fact, his early work on the fault indicated that it had moved more than 300 miles, and this became a critical piece to understanding plate tectonics. The nonprofit Thomas Wilson Dibblee Jr. Geological Foundation was created to publish and distribute his maps. 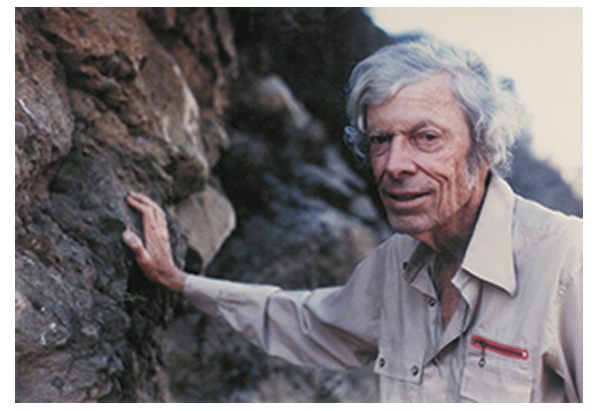 Tom received the U.S. Geological Survey Distinguished Service Award in 1967, the American Association of Petroleum Geologists’ Human Needs Award in 1981, and the Presidential Volunteer Action Award from President Reagan in 1983. Tom passed away on November 24, 2004.